Cats and dogs. While they may fight like crazy with each other, they have been known to both be man’s best friend. Our furry friends can be an irreplaceable part of our families and of our lives. They speak your language, and know exactly when you just need a good cuddle on the couch. They push us to our wits’ end. Whether it’s a pet that you’ve only had for a few months, or a feline/canine friend that you’ve had since the day that you were born, we know that the bond is strong. The Knox Carpet family is no stranger to pets. We have a vast variety and love them all fiercely. So when we’re ticking through the criteria of the products that we’re thinking about adding to our arsenal, you bet your bottom dollar that our pets are playing a role in this. 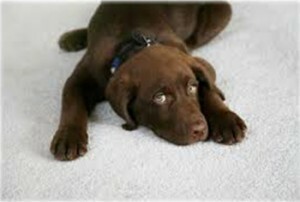 What do pets need in a carpet? Not a ton. It’s more the needs that the pet owners have, that make the decision-making process a little bit more difficult. Because as much as we love them, what is the one thing that our pets do that can be a wee bit irksome sometimes? That’s right- shed. So we like to go for easily cleanable carpets and flooring. You may think that the easy way out is hardwood. While you’ve definitely evaded the shedding part of the problem here, you’ve also introduced the whole ‘clawing the floor’ element of their wonderfulness. We know, we know… they’re not doing it on purpose. But especially if you have a new dog or a very active dog or cat, hardwood may not be the right investment for you. You will end up spending much more time taking care of the flooring and much less time enjoying life with your pet and loved ones. Luckily, Knox Carpets prides ourselves on being one of the best purveyors and distributors around of bamboo flooring. Bamboo is durable, scratch-resistant and has a beautiful aesthetic no matter what the look and feel of your home may be. If you’re partial to something a little bit softer, then we recommend minimal pill carpet that it easy to maintain and doesn’t absorb their hair right into it. It’s easier on their feet, but the fur doesn’t sync into the abyss of the fluffy carpet beneath your feet. We offer a variety of carpets from retailers that we trust and admire. These include Victoria Carpets, Feltex Carpets and Cavalier Bremworth. It’s tough to choose a favorite from any of these luxurious lines. A final option is one of the many large mats that we have in stock. You can place these throughout your home for pops of color and ways for the pets to play without worrying about the floor underneath too much. When in doubt, feel free to reach out to your Knox Carpets team. We’re happy to help you out and answer any questions that you may have around what carpet or flooring would work best for you and your pet.